There are a lot of hair dressers to choose from in Truro but When your friend with the perfect glossy barnet gives you a salon recommendation, you take note. 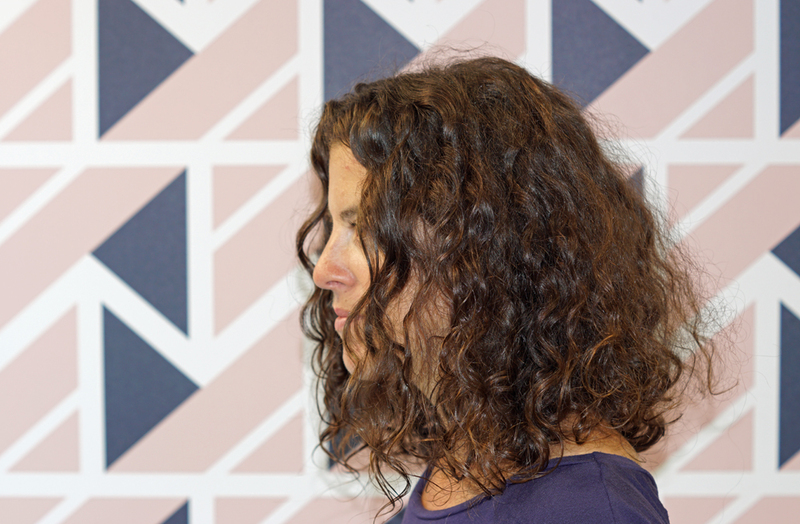 Becky, Muddy’s rather gorgeous Sales and Marketing Manager, has entrusted Hannah at Marzipan with her tresses for years and her hair literally always looks amazing. 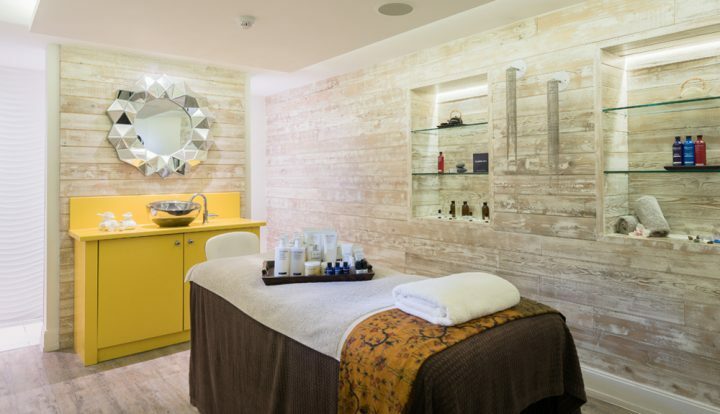 If that wasn’t enough, hundreds of readers voted for Marzipan in the finals of the 2018 Muddy Awards and the salon has recently had a hip urban makeover. 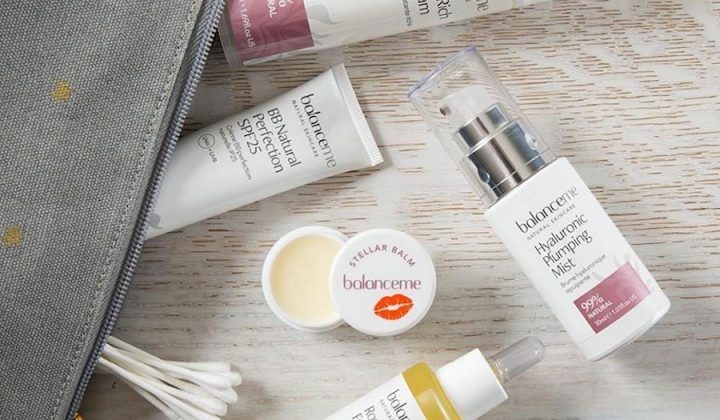 So it was the perfect time for a Muddy review (plus, split ends and all that). 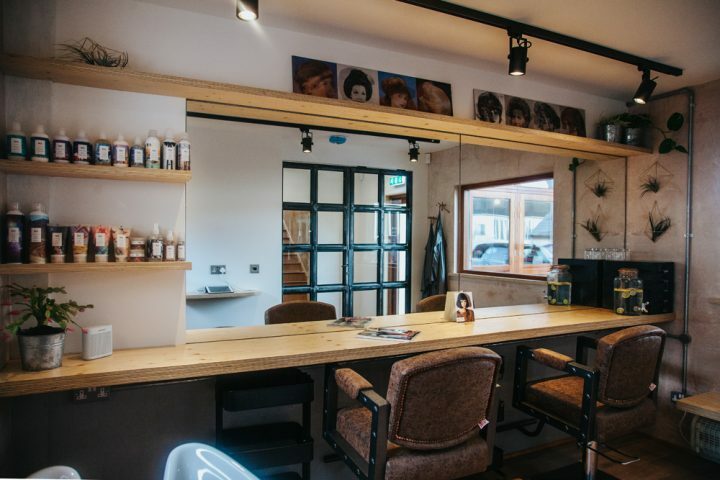 The boutique indie hair salon on Frances Street has a team of 12 skilled colourists, stylists and snippers and has earned a rep for its friendly, family vibe. 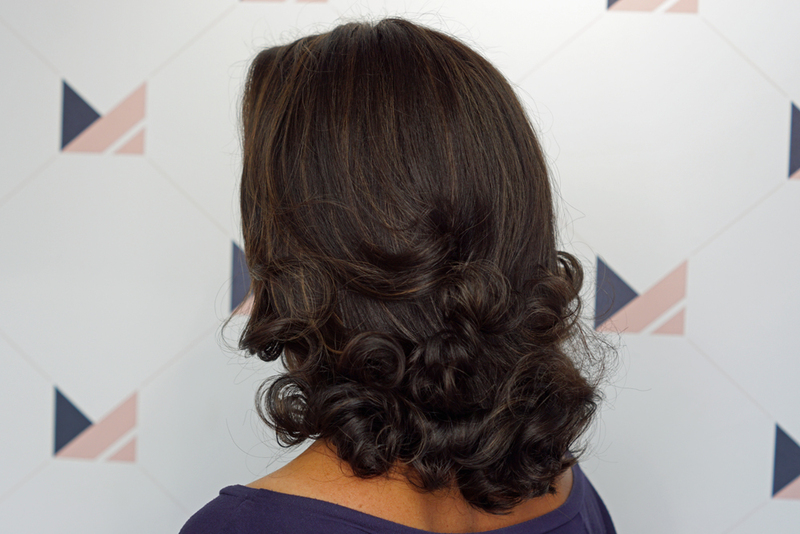 The salon had a lovely buzzy atmosphere when I visited and the staff seemed to really know all their clients. 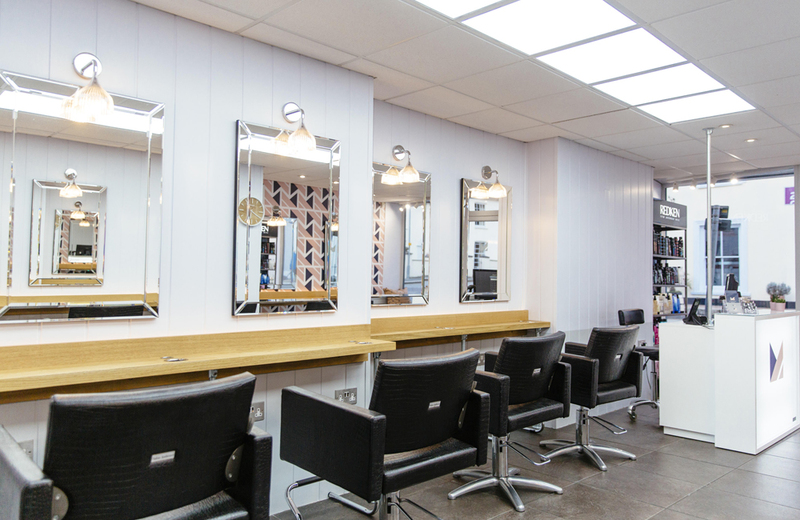 The salon is open six days a week and offers late appointments on Thursdays and Fridays, really handy if you want to drop in after work, ahead of the weekend. I loved the mid-century mirrors and graphic patterned walls – perfect for a post-snip selfie. Over all, it’s cool, fresh and upbeat without being a bit pretentious. Marzipan uses Redken colour and haircare products, Morrocan Oil and Pureology – a sulphate free, 100% vegan range. And the team does lots of training around the UK to keep them on top of their game. 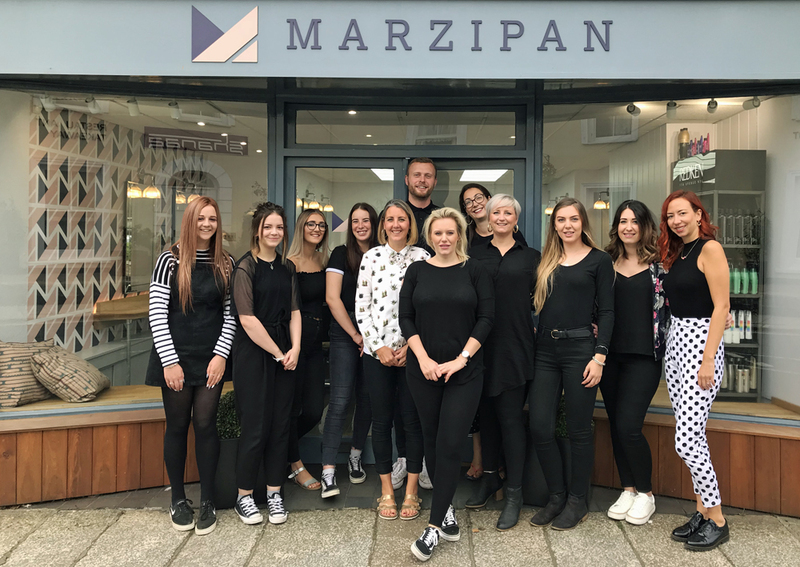 An Outstanding Apprenticeship Employer, Marzipan staffers won Cornwall Apprentice of the Year in Hair & Beauty 2016 and 2017 and this year, they are sponsoring the awards. 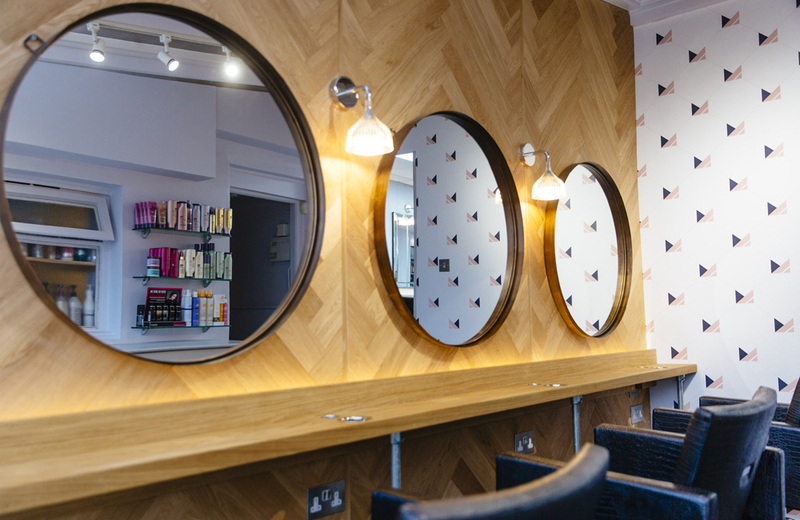 Owner Hannah’s a true industry pro, who alongside Marzipan works for world-renowned hairdresser Lee Stafford. She’s one of his trusted colleagues (‘STAFS’), scattered throughout the UK, who are revolutionising college hair education, sharing ‘the Lee Stafford Education way’ with college lecturers. On Hannah’s recommendation, I booked in with Lauren, a new stylist recently located from East London, bringing big city credentials with her. Now in the interest of honesty and dramatic transformation, I literally washed my hair, slept on it and turned up at Marzipan looking my usual slightly frizzy self. Here goes, don’t judge! Her brief was to de-frizz, give me a bit more bounce and shape and throw in a few subtle highlights. Here’s the result. Soooo much better! Dontcha think? To book in for your own transformation, contact them on the details below.